Synopsis : Cela fait désormais trois mois que Marc Borgmann s’est séparé de Bettina, son ex-compagne avec qui il venait tout juste d’avoir un fils, Max. Trois mois aussi que Kay, l’homme avec qui Marc a vécu une passion qui les a consumé corps et âme, s’est volatilisé dans la nature. Marc a tout perdu mais c’est l’occasion pour lui de prendre un nouveau départ dans sa vie. Mais est-il vraiment possible de tout oublier ? On this page, you will find my written project of little sequel to the German movie Free Fall (Freier Fall) from director Stephan Lacant ! A movie that I enjoyed a lot and which has deeply touched me. But with an end that I found very sad even though it had a little optimistic touch ! Being passionate about writing, I’ve decided to get myself into this idea of writing a mini-sequel to the movie. There probably won’t be anything extraordinary, but I sincerely hope you’ll like it ! Synopsis : It has been three months since Marc Borgmann has split up with Bettina, his ex-girlfriend with whom he just had a son, Max. Also three months since Kay, the man with whom Marc lived a passion that consumed their body and soul, has vanished into nature. Marc has lost everything, but this is the opportunity for him to make a fresh start in his life. Is it possible to forget everything yet ? Bro u r owesum… seriously the director ov the movie should make a sequel based on ur story. M loving every inch ov ur sequel… thanks alot…..
Ah thank you so much for your comment Somy 🙂 That would be cool if they could make a sequel based on my fiction ah ah. I’m glad you like the story ! Stay tuned for Chapter 4 coming very soon. This is simply amazing Milo. It is thanks to you that you have created my love for this film that I admire so much now. When I first watched this film, I did not like it a lot and now « Freier Fall » has become the best gay story I’ve ever read, and your continuation of the story drastically rises how much I love everything about it. I’ve read more Fanfic stories later after I read yours, they are good (and share very similarities) but I am EXTREMELY excited for how this story closes its gates with Marc & Kay. In fact, I am commissioning an artist to paint the main picture of Marc & Kay naked (from Chp 3.) and possibly have it signed by Hanno Koffler & Max Riemelt in the future. 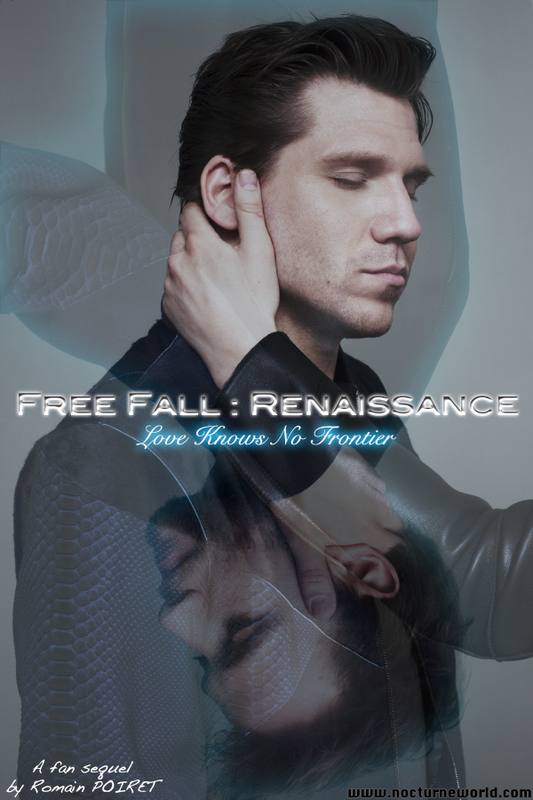 This is simply to express my love for Free Fall. I sincerely hope you continue this magnificent writing of yours, espeically with this story, thank you so much, I will be featuring your continuation of the film on my LGBT site soon for everyone to see. Take care! It’s a pity you don’t have a donate button! I’d definitely donate to this outstanding blog! I guess for now i’ll settle for book-marking and adding your RSS feed to my Google account. I look forward to brand new updates and will share this blog with my Facebook group. Chat soon! Wonderful! I have been loving your continuation of this most special love story and your handling of it. Keep at it. You have a lot of fans. sad part is now I can’t wait for 9 and 10. chapter 8 just teased me. chapter 10 please 😀 i cant wait..
Hi Lucas, thank you for your wonderful comment. I’m very happy to read you enjoyed my fiction and that it brought you lot of emotions 🙂 Hope to read you soon ! I’m from Brazil , forgive my English . I long to part 3 of the saga. Very good your part 2 !!!. It is part 3 , with them taking care of children.